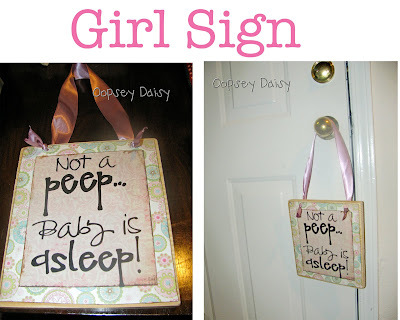 * Two posts from guest authors sharing useful baby mama information or creative crafts. * A giveaway you won't want to miss! * A post from lil' old me sharing some of the things I have been making for son or my 6-day-old nephew. Yes, indeed, I'm an aunt (again!). My sister had her baby about a week early. I'd almost forgotten how tiny and sweet a newborn is!! Little Man and I have LOVED hanging out with our new nephew/cousin! I seriously ADORE my readers. Blogging has been such a fun hobby for me, and I have so enjoyed connecting and learning from you. If you only knew how your comments and e-mails make my day!! So I am offering the first giveaway of this fun Baby Week! I saw this idea on How Does She?, and knew I had to make my own "baby is sleeping" sign. Maybe because we live in an apartment building on the top floor--we hear everything! And naptime is such a sacred time to me for obvious reasons: CRAFTING. I get just a little annoyed when delivery men or others stop by and pound on my door and knock up Little Man from his precious naptime. So I took my own spin on it, made one for our front door, and had way too much fun with it! 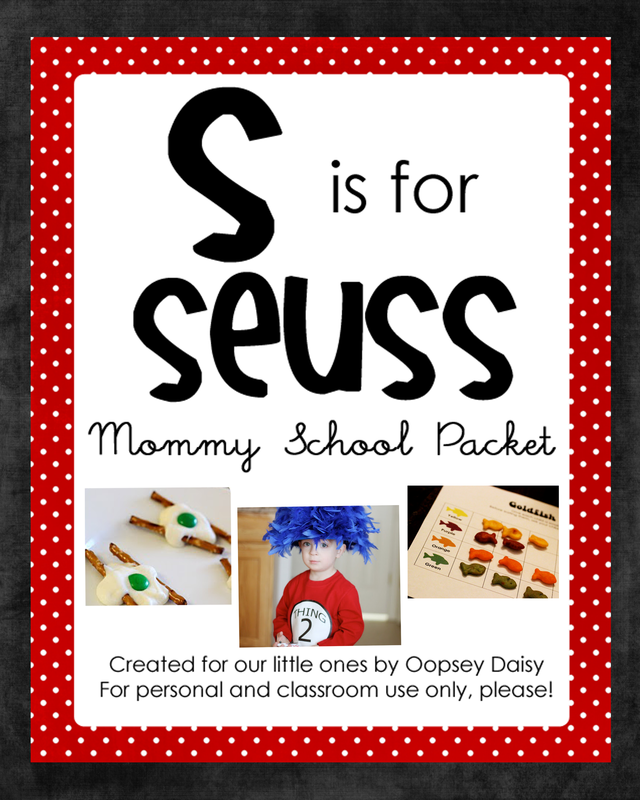 So I made a couple more signs, and am offering one to a lucky reader! 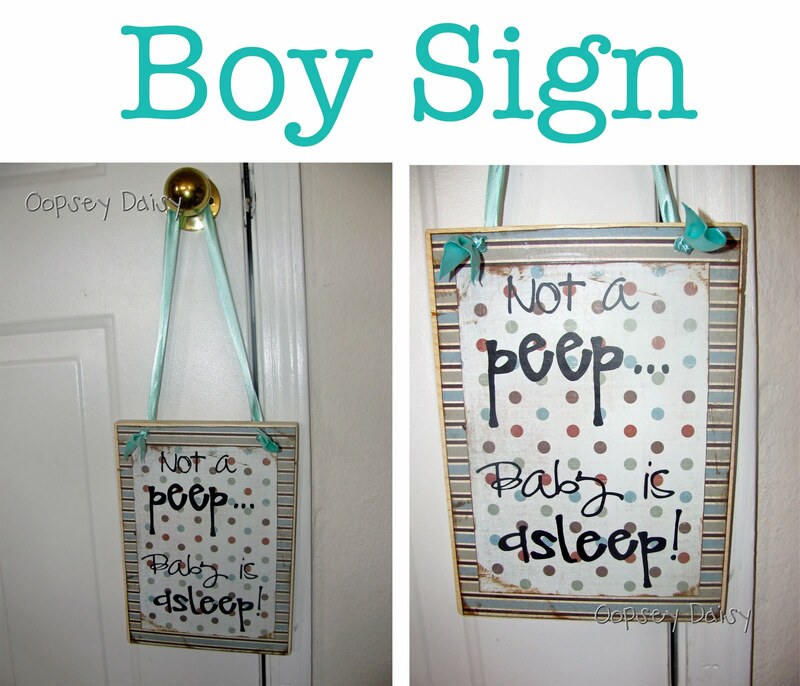 In a subtle way, you can let others know your little one is sleeping by hanging this little cutie on your front door! You could also hang it on baby's door so the family respects naptime also! 1. 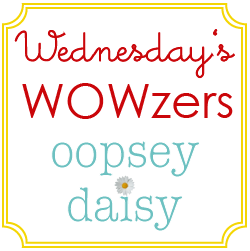 Follow Oopsey Daisy or let me know you already do. 2. Follow me on Twitter or let me know you already do. 3. 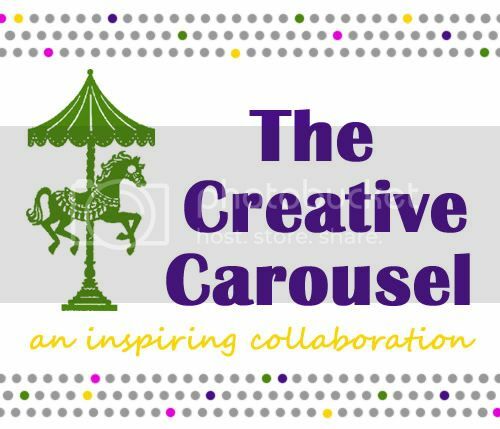 Add my button to your blog and let me know. 4. Oopsey Daisy joined Facebook!! Become a fan here and let me know! 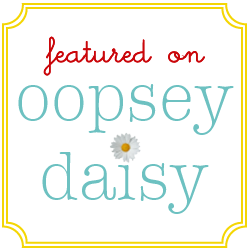 Thanks for reading Oopsey Daisy!! Good luck! I can't wait to share this week with you!